Mé’eohtsévá’e “Appearing Woman”, Susie Bellymule Clubfoot was a ceremonial and traditional Cheyenne woman from Birney. She was named after her aunt, the late Grace Strange Owl. Mé’eohtsévá’e was born in Concho, Oklahoma on February 11, 1940 to John Herbert and Dora Bellymule. In July 1986, Mé’eohtsévá’e married Hugh Clubfoot in Sheridan, Wyoming. Mé’eohtsévá’e has 7 children Marion Spang, Delores (Merrill, Sr.) Killsnight (deceased), Mike, Suzette (Ken) & Loy (Maureen) Bryant, Sarah & Clarence III Medicine Top. She also raised Mariah, Amber and Kadence Clubfoot as her own. Mé’eohtsévá’e has two sisters Marlene Redneck and Nellie Red Hat. Her grandchildren are Waylon, Maria, Rodney, Dana, Terri, Erin, Adriann (Byron), Merrill Jr. (Kristi), Merilyn, Charles (Monica), Merlin (Lori), Gernell (Shaleen), Chasity, Mitchell, Montoya, Shelby, Phillip, Brandon, Shireesa (Fred), Mathew, Jerome, Jeriah, Mathew, Shantaya, Douglas, Justin, Rena, and Cheyenne. She was also blessed with many great grandchildren and great great grandchildren. Her deceased siblings were John Medicine Elk, Jr., Dorothy Spotted Elk, Loy Bellymule and Fred Bellymule, Sr.
Mé’eohtsévá’e enjoyed a simple way of life but she worked endlessly to share the Cheyenne way of life and culture with her family and friends. Mé’eohtsévá’e lived her life through Cheyenne ceremonies, Sundance, Sweat and the Peyote way of worship. Mé’eohtsévá’e served as a Home Health Care worker and a Cooker for the elderly. She was gifted and really enjoyed beading, quilting and sewing regalia for her family. She enjoyed traveling, attending pow-wows, gardening, and berry and medicinal gathering. Her life’s happiness was doing all of these things with her family. 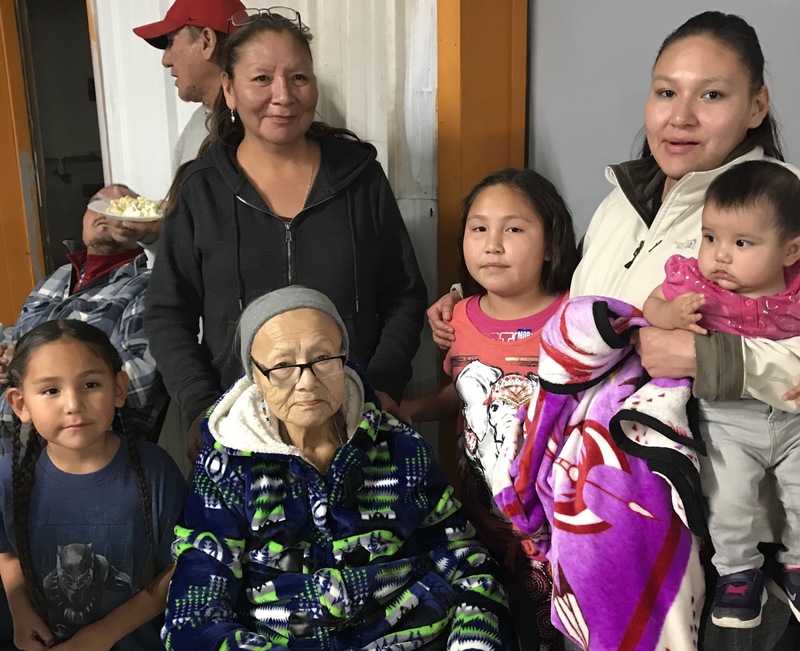 For 16 years, one of her greatest successes was to plan, organize and participate in the Birney Veteran’s Day Pow-wow. Mé’eohtsévá’e believed that everyone is related and it is with no disrespect to leave anyone out because we are all related. THE NORTHERN CHEYENNE CHIEF COUNCIL EXTEND THEIR MOST SINCERE AND HEARTFELT CONDOLENCES TO THE FAMILY OF SUSIE CLUBFOOT AND PRAYERS FOR STRENGTH DURING MOST SAD, SORROWFUL AND MOURNFUL TIME FOR THE LOST OF A BELOVED LOVE ONE. I am truly sorry for your loss. May the promise at Rev 21:4 bring you peace and comfort during these painful days. Condolences and Prayers for Aunt Susie’s Family, from Watonga, Oklahoma. Her dad’s (Herbert Bellymule) relatives. She will be missed!! Sincere condolences and prayers for the family. Prayers to you all. Sarah lee I love you n just know I know your pain. All of you. The pain n Loss is hard. The only condolences I have is that our moms are in a better place. The strong Cheyenne woman they are they aren’t in any pain. They will be missed.